She gives guidance to Empaths on how to survive in an energetically charged world with specific tools and techniques geared especially for Energy Sensitives. To further assist and guide Empaths, Tiffany has created the EMPATH GUIDANCE AND EMPOWERMENT ORACLE CARDS. This is a 44 – Card Deck with Guidebook that will provide valuable insights, guidance, tools and techniques especially geared towards Empaths to empower you on your path and journey as a healer. I am taking pre-orders on tbe Oracle Cards now to be shipped out the week of August 26th, 2018. They are currently being shipped to me right now from China. If you are interested in purchasing a box of these Oracle Cards to assist you on your journey, please Click Here! Tiffany is an Aura Reader and can give you a comprehensive view of your energy signature tied to your soul purpose. If you are interested in this reading please Click Here to be redirected to the Intuitive Readings Page. She is also the Creator and author of the Energy Report ©~ Space Weather combined with Spiritual Guidance, incorporating both towards Cosmic Shifts and the Ascension Process of Earth and Humanity. Thank you so much for this reading. Your note at the end about being able to use powerful healing energies was very powerful for me. I am a healer and have known since I was 4 I was supposed to do this work but only got into it in 2001 after I healed from cancer. This is so validating, all of the info in your report is who I am now as opposed to who I used to be. My career path is that of a Grid worker, psychic and a medium (which I’m only just now opening to). Thank you so much for my reading. It makes a lot of sense and much resonates, once I let it all sink in probably more. I’m still working on the mediumship skills, I used to have it while I was a kid, but it wasn’t accepted to kindly by my family. I pray it will come back someday. I definitely see things before they happen and pick up on people’s thoughts and my dreams are very vibrant/ lucid and often premonitions and messages etc., indigo color totally makes sense. I very much appreciate this and all the inspirational posts you do and helping so many. You are a beautiful earth angel 😇 God bless you, always! I’m thrilled with my reading & the fur baby Tiffany! It was a great pleasure to have a reading from you. The accuracy is uncanny and your sensitive guidance is invaluable and what I really need at this time in my life as I’ve just separated from my husband after 20 years of marriage. It always amazes me how accurate these readings are! The violet traits and personalities are dead on. When I came across the green description I got goosebumps because one of the main things I want to do in life is work with/help animals, and this was definitely a confirmation and green light. I grew up with animals and have 4 of my own now. I live on a few acres of woods and do not particularly enjoy the city life (a point made in the violet description). I have also taken two levels of traditional Japanese Reiki and am definitely an empath 🙂 … so, needless to say, the aura reading was very accurate, thank you! This was the most accurate reading that I have ever had. So, so on point. Thank you for my aura reading. I had an Aura Reading done with Tiffany and it was awesome. ..bang on about so many things…also validation on many levels…makes you really have that Awwwww moment about why you are the way you are…I highly recommend her god given talents! Tiffany, You hit it all on the head! I received a star seed natal chart reading last week, and I had markings of the shaman on there, as well as connections to 2 starships, and mark of the healer with crystals, and a marking of the avatar, and the Jesus and Mary Magdalene. This just puts everything into a deeper perspective for me, and has helped me so much! I thank you for all the service you give to others, and the light that you so brilliantly shine. Thank you soo much for my reading. It was incredibly accurate and even my Fiancé was shocked how much it sounded like me. I really enjoy following you on Facebook, everything you post resonates with me greatly. Know that the time you take to share all your knowledge doesn’t go unnoticed. Thank you again for such a pleasant reading, and hopefully in the near future I can reach out again for other types of readings. This reading was so amazing! It spoke to me and connected with me on many levels and I am grateful to you for sharing your gift with me. This reading solidifies so much of where my journey has taken me over the past 2 1/2 years and the guidance and direction of what is ahead! Thank you again. This is beautiful. It touched my soul deeply, I don’t even know if I have the right words to describe it. It has been a long challenging intense journey but I know it was meant to be that way for a reason. I always felt like I see more, feel more, know more… but being surrounded by people and societies/cultures that have been very limited only made it look like I was crazy for even thinking that way. Things have turned around for me 360 since end of last year so I am excited what’s to come next. For All Services and to be Redirected to The Mystical Lotus website please Click Here! Tiffany does not accept Facebook private messages. If you are interested in a Private Counseling Session, please Click here for more information. 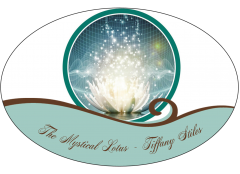 * Admin of Tiffany-Stiles.com ~ Articles / TheMysticalLotus.com ~ Services. Tiffany does not charge for a subscription to join this website. All information is free. The Mystical Lotus LLC © 2018 All Rights Reserved. Thank you for this reading. I picked numbers 1 and 4 and the answers are very accurate. I’m interested in purchasing a smudging kit. How do I do so? Where does one begin? When I first stumbled on Tiffany’s posts (they were on a different facebook page), I found myself eagerly awaiting the next post and wondering what questions they would answer. ..Day by day and week by week, i became hungry for more information and getting answers to questions i didn’t even know i had. Tiffany was always so helpful and willing to answer my questions. Words cannot express my graitute for the friendship and guidance she has so selflessly shared. Everything she does is with complete love, light, and gentleness leaving me feeling comfortable to learn and grow at my own pace. Although i have never had the honor of meeting Tiffany in person, the guidance she has given me has impacted my life so much that i am not the same person i was a year ago. She truly is an angel on earth and i am blessed and honored to be a part of this tribe family. Hi Tiffany. I stumbled upon your website when I asked Google, “What is time, metaphysically speaking” …so I guess I’ll ask you. But I prefer to see it as being carried along, not falling. What I am curious about is, what drags you along?